A lot can happen in 5 years. Simon Spurrier continues the story of Future Taylor as with a leap into the future and the survivors full-engaged in the battle to reclaim their humanity. Take the world of the Crossed, which nearly wiped out all of humanity, and allow Alan Moore to decipher how civilization will evolve from there. 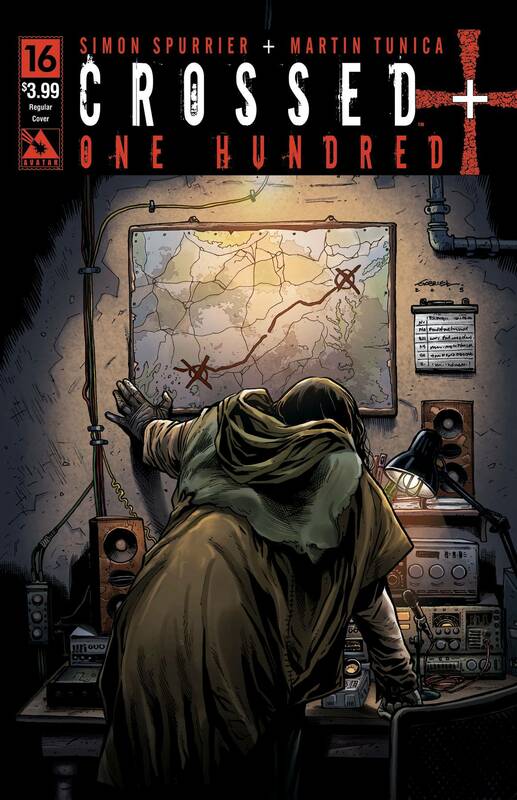 The end result is Crossed +100, a wholly original take on the future of the Crossed world that is so immersive it has its own language and multiple cultures developed within. Available with a Regular, Crossed Wire and American History X cover by Gabriel Andrade, Fairy Tale cover by Emilio Laiso, Wishful Fiction by Daniel Gete and Horrific Homage by Michael DiPascale.